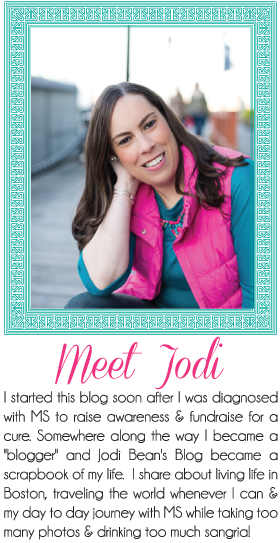 Jodi Bean's Blog: Rings for MS! Would you like to wear a beautiful ring (made by me) and support MS at the same time? Well if you answered yes do I have an offer for YOU! I made these beautiful rings and I'm selling them for $20 and will make a donation for every one sold to The National MS Society Greater New England Chapter and more specifically toward my fundraising for the 2011 Boston MS Walk. A close up of the pearl ring. Made w/ sterling silver beads. One size fits all. Very comfortable! Here I am modeling the light green ring. Isn't it pretty? This is the ring I actually wear each day. My aunt Nancy made it for me and I get compliments on it ALL them time. So I got the idea to sell them for a MS fundraiser - great idea right?! So what are you waiting for? But one in every color, buy one for a friend, buy as gifts, buy one for yourself. . .
Other colors are available - just tell me what color you want and I'll see if I can get it! "I Love The Way You Lie"
How Much Do I Love Necklaces? Can I just blame it on my MS? Too tired to even keep up with my blog. . .